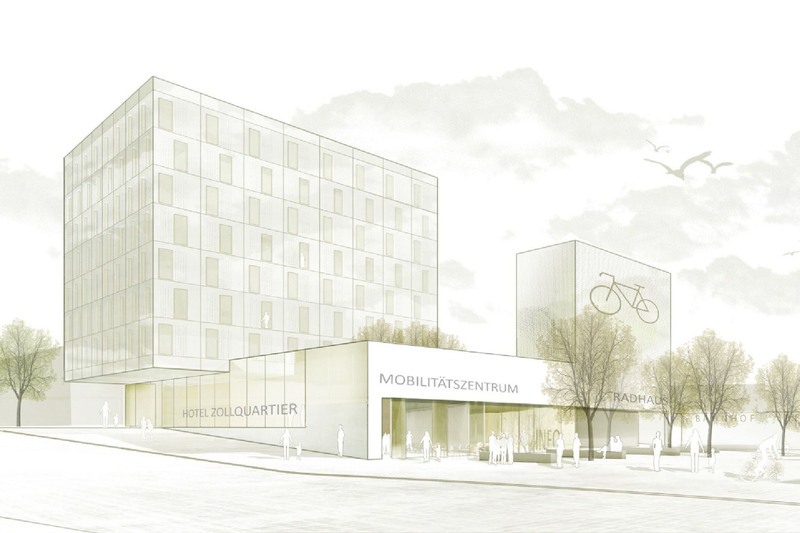 After the Stuttgarter Tor (Gate to Stuttgart) project, the second construction project in this area will be realized opposite the main railway station along Burkhardt + Weber Straße with the “Hotel am Stuttgarter Tor”. On the ground floor the hotel will feature a lobby, a breakfast room and a bar / lounge area. In addition to the parking spaces for the hotel, the outside area will also offer car sharing, taxi and Kiss & Ride spaces. The Business Hotel will have about 140 rooms on distributed on 7 floors. On the ground floor the hotel will feature a lobby, a breakfast room and a bar / lounge area. In addition to the parking spaces for the hotel, the outside area will also offer car sharing, taxi and Kiss & Ride spaces. In front of the hotel, right next to the railway underpass, a modern mobility center is being built, ending a spacious urban square. Green areas and seating options will ensure a high quality of stay. The different modes of transport – rail, car, bus and bicycle – will be intelligently connected at this point. 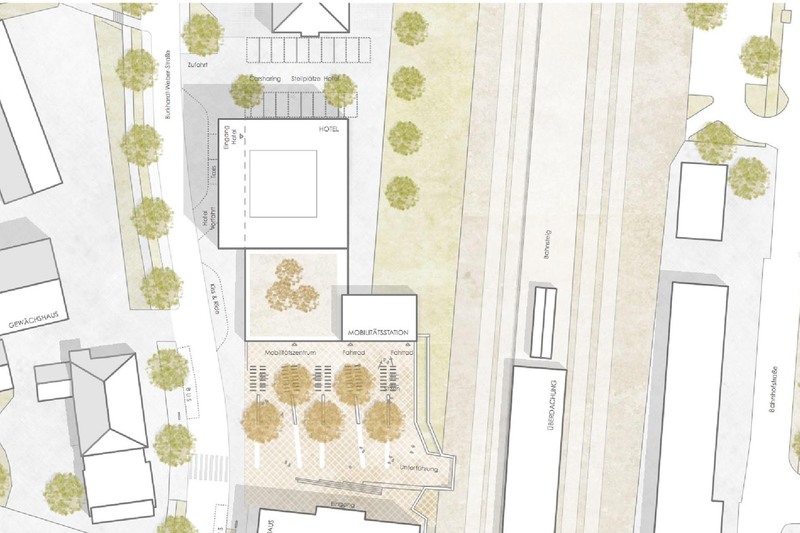 A highlight will be the “wheelhouse” – a bicycle tower, in which a part of the approximately 300 available bicycle parking spaces will be accommodated.